The Australian Labor Party is one of the oldest labour parties and was the first in the world to form a government. 2011 marks its 120th birthday. This short and lively book tells the story of the ALP’s numerous successes in winning government at all levels and making policy that has transformed lives. The book also shows how the ALP has attracted an extraordinary range of members, parliamentary representatives, leaders, unionists, activists and, indeed, opponents. 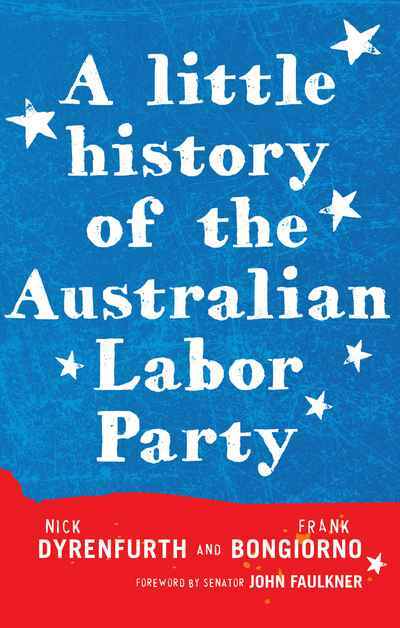 Whether their audience are Labor voters or not, writers Nick Dyrenfurth and Frank Bongiorno argue that it has been such a central force in Australia throughout the twentieth century that its history should be known.